On Air World travel radio is broadcast across a number of FM community radio stations and online outlets in Australia, Northern Ireland/UK/Europe/Norway/Scandinavia, France, India, the USA and elsewhere. Via the Travel Radio Australia program with host Ren Zwiers, the segments reach hundreds of thousands of listeners every week. We also attract a large following online via our website and via specialist online travel radio sites and networks, which attract hundreds of thousands of visitors/listeners. Click on the logos/pictures below to visit our partner stations/online broadcasters websites. On Air World Travel Radio is proud to welcome Carib Riddim Radio in the Caribbean as our latest broadcast affiliate partner. With over 200,000 unique online listeners per month, you can listen to the On Air World segments on a regular basis. Click on the logo above to visit Carib Riddim Radio’s website. Congratulations to 2MNO Community Radio 90.5 FM, Cooma, NSW, which is the latest Australian community station to feature On Air World travel radio segments. The program airs at 3.30pm Saturday afternoon,ST) during the Saturday Alternative program. Click on the logo above to vist the stations streaming website. Listen in to On Air World radio travel segments daily on World Radio Paris. Also tune in to the Smooth 60 Jazz hour at 10 pm Saturday night and 10 am Sunday morning. Click on the above link to visit the World Radio Paris website. World Radio Paris reaches over 200,000 English speaking residents in the general Paris, France area. Blast 106.4 FM Belfast via the Travel Bites Radio show. Click on the above link to visit the stations website. Travel Radio Australia hosted by Ren Zwiers has been running for over ten years, attracting hundreds of thousands of listeners. Click the logo above for the latest episodes. Congratulations to our latest Australian community radio station to broadcast the On Air World travel segments, Radio 50PLUS 93.3 FM, Gosford, NSW. Click on the picture above to visit the stations website. 21 SNS website features On Air World travel radio on its radio information page. Click on the logo above to visit the link page. Congratulations to 4SDB Rainbow FM 89.3 Southern Downs, Queensland, Australia, which is the latest Australian community station to broadcast the On Air World travel radio segments. Click on the link above to visit the stations website. 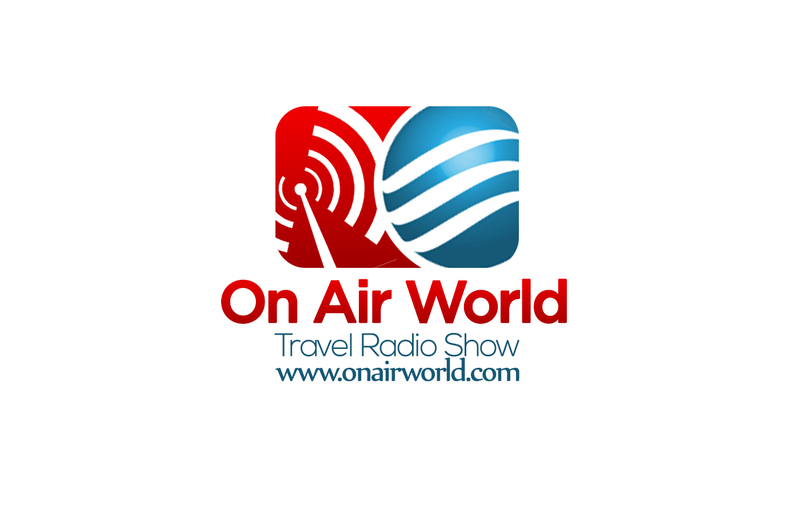 On Air World Travel radio segments are featured twice a week on the Travel Radio Australia broadcast worldwide via the Tune In website. Click on the logo above to visit the TRA Tune In link page. Congratulations to Wild Horse FM 99.7 FM Yarraman, Queensland Australia as the latest Aussie radio station to broadcast On Air World travel radio segments. Segments air every Saturday after the 12 noon news AEST. Click on the logo above to visit the stations website. On Air World Travel Radio welcomes our latest Australian broadcast partner, Peak Hill 89.5 FM, Peak Hill, New South Wales. Click on the studio pic above to visit the stations website. Congratulations to 90.8 FM VIT Community Radio, Tamil Nadu, India, for being the first Indian Community radio station to feature On Air World travel radio segments. Click on the logo above to visit the stations Facebook page. Welcome to our newest UK broadcast station partner, The Thread, 102.8 FM, Macclesfield Community Radio UK. Click on the logo above to visit the stations website. On Air World travel radio now broadcasts on the Overseas Radio Network every Friday afternoon EST at 3pm. Congratulations to Norsk Lokal Radio Forbund radio hub in Norway for featuring On Air World travel radio. The hub distributes programs to Norway’s community radio stations. Click on the logo above to visit the On Air World radio link hub for community radio in Norway. Congratulations to Nambucca Valley Community Radio 105.9 FM – the latest community radio station in Australia to broadcast travel segments by On Air World travel radio. Welcome to the broadcast team. Click on the logo above to visit the stations website. Congratulations to Halton Community Radio UK 92.3 FM for being the latest world community station to feature On Air World travel radio segments. Click on the logo to visit the stations website. Our latest Australian community radio station carrying our segments is Bundaberg Community Radio, 96.3 FM, Queensland, Australia. Click on the logo to visit the stations website. On Air World travel radio segments are broadcast via RTE Radio 1, Citybeat Radio Belfast and BBC Radio Ulster via the Travelbites Radio show, Northern Ireland. Travel with Ren Zwiers Travel Radio Show. Click the Itunes Logo to visit the Travel Radio Australia Itunes webcast/download page. Geoff’s reports are featured from episode #151 onwards. Travel Bites Radio Northern Ireland. On Air World travel radio has really great reach world wide. As i have checked your India Partner 90.8 FM VIT Community Radio, Tamil Nadu, India, It’s market reach is quite small as compare to the size of India. We have huge number of Radio/FM stations in India. A company MediaGuru Consultant is used to provide Support in Licenscing a New Radio/Fm Stations and helped many companies worldwide to Invest in India. As per my Suggestion, You can check MediaGuru Consultant . Thanks for your Information regarding On AirWorld.